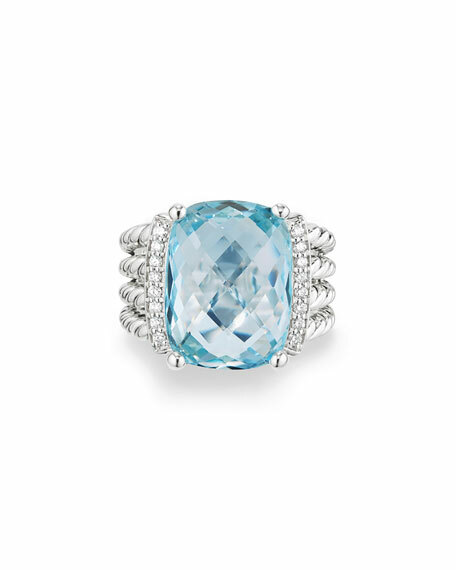 David Yurman ring from the Châtelaine® Collection. Sterling silver double-spiral band. Pavé diamond prong setting. Faceted Hampton topaz, 14mm (0.5"). 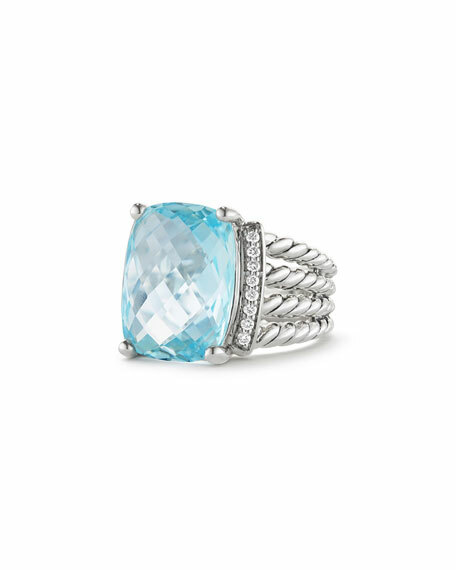 David Yurman ring from the Châtelaine® Collection. Sterling silver double-spiral band. Pavé diamond prong setting. Faceted Hampton topaz, 14mm (0.5"). 0.08 total diamond carat weight. Imported. 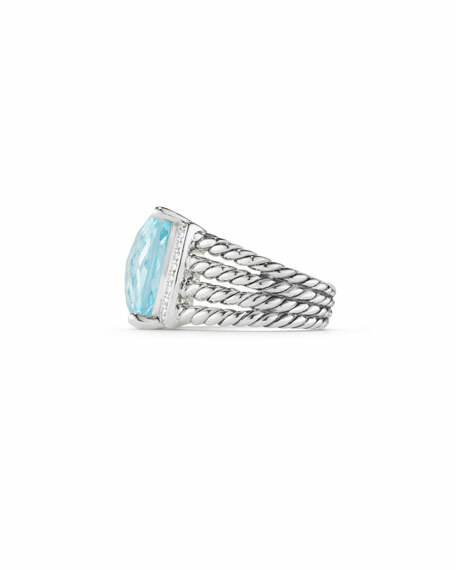 DAVID YURMAN ring from the Stax Collection. Sterling silver bands. Pavé white diamonds. 0.10 total carat weight. Approx. 9mm (0.4").